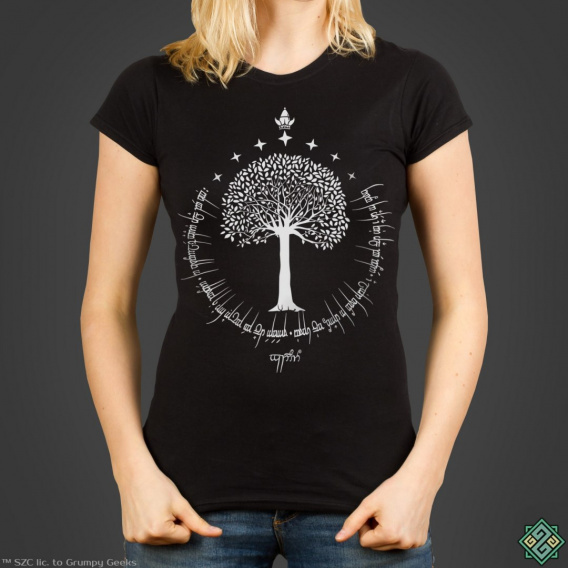 This design depicts the White Tree of Gondor, surrounded by seven stars and topped with a winged crown. 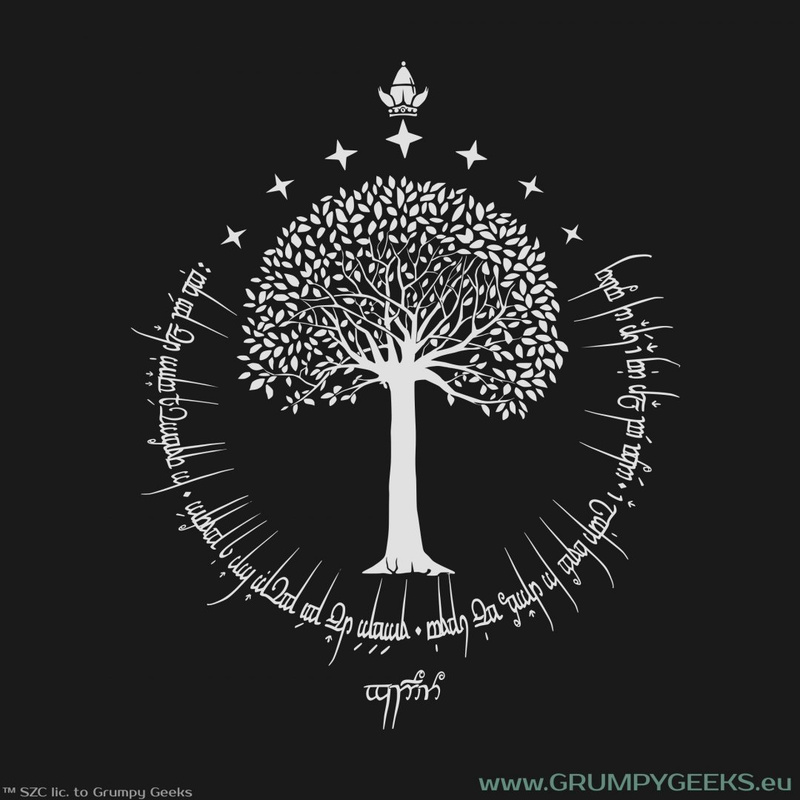 The Tengwar inscription encircling the image reads: From the ashes a fire shall be woken / A light from the shadows shall spring / Renewed shall be blade that was broken / The crownless again shall be king. Beneath, there is a single word: Gondor.